Anti-icing techniques involve the application of liquid magnesium chloride to roadways and bridges which helps prevent snow or ice from sticking to the pavement. The application greatly reduces black ice and slippery conditions. When below freezing weather is eminent, ACHD applies magnesium chloride on priority areas. The magnesium chloride not only aids in preventing ice, it can also melt existing ice on streets. ACHD also uses road salt combined with a blue dye, which melts snow and ice, and when combined with sand adds added traction for motorists. Anti-Icing, when applied prior to the storm onset, keeps snow from adhering and ice from forming on the roadways. Maintenance costs are reduced, saving taxpayer dollars. Use of Anti-Icing agent greatly reduces the use of sand and road salt. This not only reduces the cost of materials, fewer man hours are required for sweepers to clean the roadways. Less impact to cars, pavement, and roadside landscaping. While ACHD purchases magnesium chloride and rock salt treated with corrosion inhibitors, it is still a good idea to wash your car often in the winter months to prevent potential corrosion. 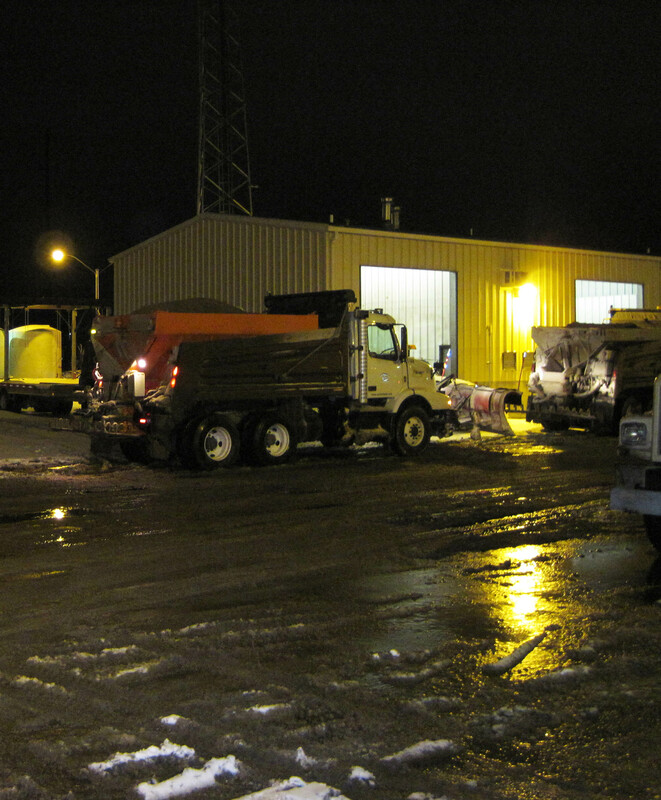 Sweeping of roadway sand will begin as soon as conditions allow. This limits runoff into storm drains that directly access the Boise River and keeps excess dust out of the air.